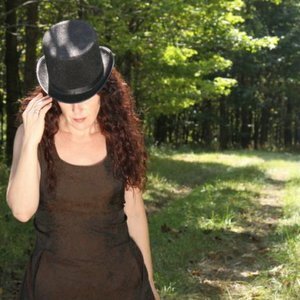 Krista Detor is an American singer-songwriter and pianist from Bloomington, Indiana. To date she has released the following albums: Dream in a Cornfield (2004), Mudshow (2006), Cover Their Eyes (2007), The Silver Wood: Wintersongs (2008), Chocolate Paper Suites (2010) Detor's 2006 album 'Mudshow' was released in 2006 to international critical acclaim, garnering an average of 4+ star reviews, and reaching the #1 spot on the Euro-Americana Chart. Detor's 2006 album 'Mudshow' was released in 2006 to international critical acclaim, garnering an average of 4+ star reviews, and reaching the #1 spot on the Euro-Americana Chart. Signed in Europe with Corazong Records, Detor's follow-up album, Cover Their Eyes made similar waves in the European musical world when it was released in 2007. She defies genre, but the quality of her writing has been compared to the likes of Leonard Cohen, Laura Nyro, Tom Waits and Joni Mitchell, company she is more than happy to keep. She tours the U.S. and Europe consistently, has shared stages with Loudon Wainwright, Colin Linden, Luka Bloom, Slaid Cleaves, Carrie Newcomer, Pierce Pettis and John Gorka, among others and travels with her partner and producer, David Weber.